Dr. William Ascher is the Donald C. McKenna Professor of Government and Economics at Claremont McKenna College and Director of the Roberts Environmental Center, Claremont McKenna College’s flagship institute for the study of the intersection of contemporary environmental issues and public policy. He studies strategic planning, policymaking in developing countries, natural-resource and environmental policy, Latin American and Asian political economy, political psychology, and forecasting methods. Ascher is also a member of Claremont McKenna’s Robert Day School of Economics and Finance and its Berger Institute for Work, Family, and Children. Since 2007 he also has been Director of Soka University of America’s Pacific Basin Research Center, which analyzes humanistic, peaceful approaches to development in the Pacific-Asia region. He has served as a principal research fellow at the Centre for Energy, Petroleum, Mineral Law and Policy at University of Dundee, Scotland (2005-08); and as Professor of Public Policy Studies and Political Science at Duke University (1984-2000). During his career, Ascher also has held several administrative roles at CMC and elsewhere, including: Vice President for Academic Affairs and Dean of the Faculty, CMC (2000-05); Director, Program in International Development Policy, Center for International Development Research, Sanford Institute of Public Policy, Duke University (1986-2000); and Director and Chair, Terry Sanford Institute of Public Policy, Duke University (1994-97). 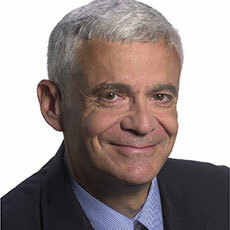 Since 2006, Ascher has been a Fulbright Senior Specialist. In both 2009 and 2016 he received Claremont McKenna’s G. David Huntoon Senior Teaching Award, which is given annually to a full professor for excellence in teaching. 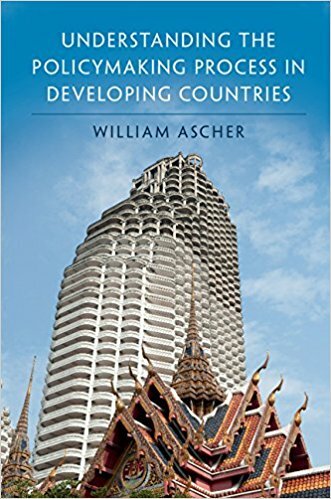 A prolific writer and editor, Ascher is the author and co-editor of many books, including Knowledge and Environmental Policy: Re-Imagining the Boundaries of Science and Politics, Why Governments Waste Natural Resources: Policy Failures in Developing Countries, and Bringing in the Future: Strategies for Farsightedness and Sustainability. 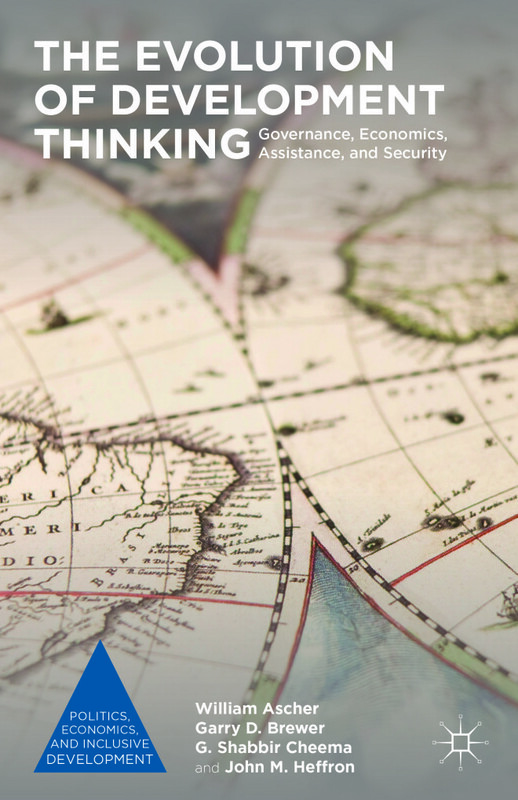 His most recent books are Development Strategies and Inter-Group Violence, The Evolution of Development Thinking: Governance, Economics, Assistance, and Security, and Understanding the Policymaking Process in Developing Countries. Two books in progress are Governance and Intra-State Migration and The Psychology of Conflict-Sensitive Poverty Alleviation. Copyright © 2017 William Ascher.